At first glance, George Weiksner might pass for your average 12-year-old—he loves playing video games, he enjoys spending time with his friends, and he’s got a silly sense of humor. But upon closer observation, it’s obvious that George is anything but average. As the Co-Founder and CEO of Quarters, he’s out to disrupt the gaming industry, and he’s using cryptocurrency to do it. With Quarters, George hopes to change how in-game currency works. Since the dawn of video games, players’ points, coins, gems, loot, or skins have remained stuck in the same game. Every time a player ditches a particular game, they abandon all of these items of value and have to start over from scratch in a new game. This frustrated George, a serious gamer whose current favorites include the uber-popular Fifa and Fortnite. Now, he’s combining the technology of cryptocurrency with gaming to create a universal gaming currency that’s transferable across different games and platforms. This currency also incentivizes developers on all major gaming platforms to develop games for the Quarters ecosystem. 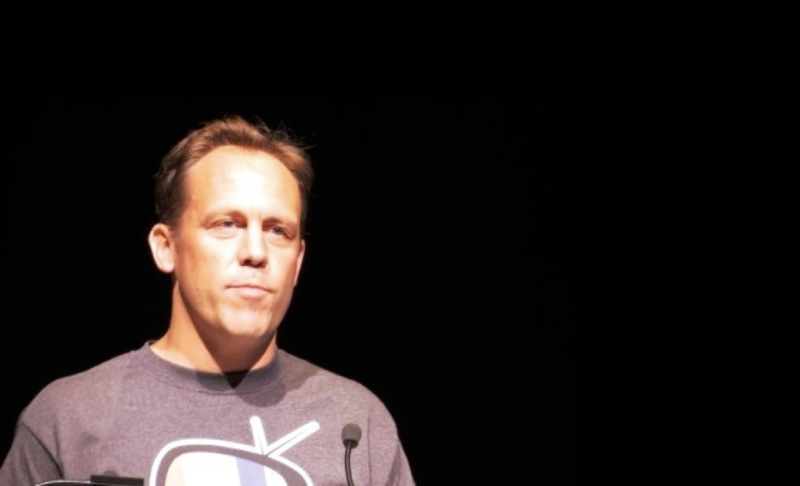 Not long after launching Quarters, George turned the heads of celebrities like YouTube star Michelle Phan and three-time Grammy-winner Devo Harris (aka Devo Springfield), both of whom invested in the company. 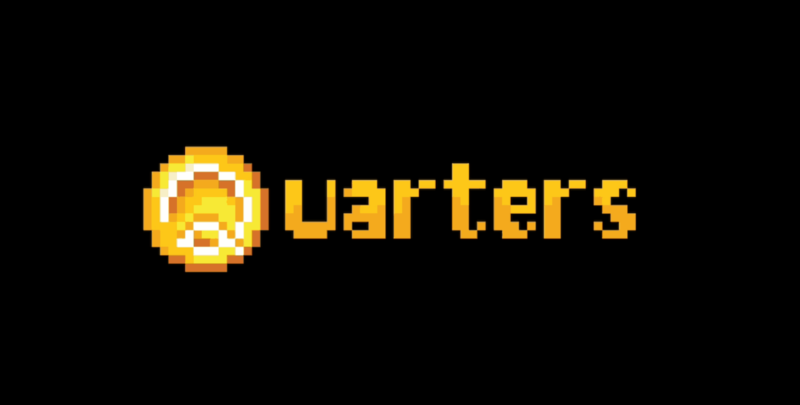 To date, Quarters has raised over $400,000. It’s also secured a partnership with Rise9, an influencer community with over 700M followers, and notable game developer Chris Cross now sits on the Quarters advisory board. But George isn’t running Quarters all on his own. His father Mike Weiksner handles the business aspects of the company, and he’s got the credentials to do so. In addition to holding a bachelor’s degree in Computer Science from Princeton and a Ph.D. in Communications from Stanford, Weiksner has co-founded and invested in a number of successful tech companies. Despite Weiksner’s role in the company, George remains the face of Quarters, and he’s made several media appearances over the past year. 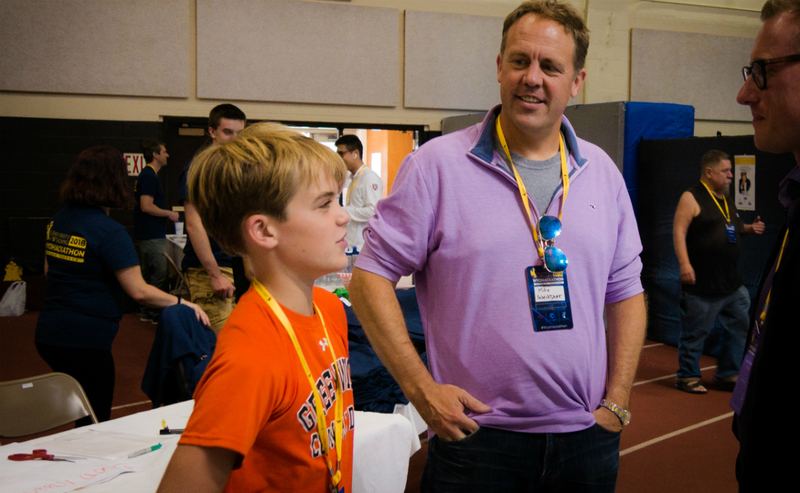 There is something truly remarkable about a 12-year-old entrepreneur, so he often steals the limelight from his father. This doesn’t bother Weiksner, though, who’s happy to give his son the credit. In the end, Quarters was George’s idea, and Weiknser continually acknowledges that. Here are a few words from George on why he started Quarters, along with some thoughts from Weiksner on what it’s like building a father-son business. What inspired you to create quarters? George: So, I was coming home from school one day, and my dad was telling me about the new big thing: cryptocurrency. At the time, I was frustrated because whenever I quit a game I lost all my coins. So, I created Quarters, which is one coin that you can use in all your games. The two ideas—gaming and cryptocurrency—kind of clicked together. The real frustration came when I was playing Madden Mobile. I got really good at this game, and I didn’t want to play anymore, but I had 400,000 coins in the game. And that’s what really made it tough to leave. So that’s what really created Quarters. And then when my dad was explaining cryptocurrency to me, and I was thinking that this could be the perfect fit. How did you get quarters off the ground? George: We went to a crypto meet-up in New York, and then from there the media caught on, and after that, even bigger media caught on, which got us a lot of people who wanted to work with us. This included Chris Cross, a game designer who’s designed multiple billion-dollar games, and Michelle Phan, who has just under 10 million subscribers on YouTube. A lot of people find cryptocurrency confusing, but here you are, a 12-year-old with your own crypto company. Did you find it difficult to understand cryptocurrency at first? George: Yeah, definitely. But cryptocurrency is kind of like an asset, so you can use it for other things. It’s pretty much just a way to make transactions that can be verified, and it does not have to be like regulated by the government, which makes it better than normal currency. You might say, "How can a regular person use crypto?" Well, what we're doing is we're going to make it so it's simple to use. All you have to do is use your credit card and buy quarters, which is a cryptocurrency, just like you buy other coins. Players might not even know that what they're purchasing is cryptocurrency because to them it doesn't matter. All that matters is the solution to the problem that they're having. They don't really care if it involves crypto, so that's the way we're gonna get a lot of user adoption. A lot of professional Fortnite players are throwing a lot of money into the game, and whenever they have an issue in that game, all of their coins are lost. So you don’t need to market it as a cryptocurrency? George: For players, no. For investors and other people, it's nice for them to know that the company is based on crypto because investors are very interested in understanding how the company works. They want to know what they're investing in, obviously. Why do you think this is a great opportunity to invest? George: I'd say this is a pretty unexplored market. The thing is, a lot of players are having this issue. For instance, a lot of professional Fortnite players are throwing a lot of money into the game, or any game, and whenever they have an issue in that game, all of their coins are lost. Like, when you have your account banned completely, you lose everything. That's a huge deal, you know what I mean? That's like a lot of money. But with Quarters, one game having an issue won't ruin everything. So, that's the thing. The players will be able to use coins in multiple games that they haven't been able to do before, the universal gaming currency is what we're really trying to push. What is your ultimate end-goal with Quarters? George: My hopes and dreams are that this would be widely adopted by players and make games better for everyone. I don't want other people to have to have their coins stuck in games. I think it's a real issue because people put a lot of time, effort, and money into gaming, only for the games to die and lose all of our progress—it’s a complete waste. So, quarters will make gaming more efficient and more fun. Have you created any partnerships with developers? George: We’re talking to some big companies in China right now, who are interested. One of the third-biggest companies in China wants to translate our games and put them in. We were also going to use Fortnite to do an eSports tournament, but we’re going to make it casual eSports, and you can ante how many quarters you want depending on how good you thought you played. So, you can be self-ranked in a way. We wanted to use Fortnite because it doesn’t really have an eSports platform and it’s a very popular game. A lot of people are wondering about Quarters, the legal issues—like selling and buying and betting and those sorts of things. We’re not making it so that the average person can sell quarters. Only approved developers can. So, it’s not money transmitting because they have no financial value. George: I’m really into sports games right now. I’m getting into Battle Royale, and I like Fortnight a lot, and I’m excited for Call of Duty Blockout, which is in the beta right now. I haven’t gotten to play it yet, but it looks really cool. You started Quarters because you were losing your own gaming currency. Are you the kind of player who likes to earn coins or do you prefer to purchase them, or both? George: I like to earn if I can because I’m a kid, so I don’t have that much money. You originally wanted to take 80% of the company and give your dad 20%, but in the end, you guys went 50-50 on it. What changed your mind? George: I thought since this is my idea I should get more, you know? And he was like "Well, fine. You can have it." And then I'm like, "Wait, but then I can't have your help!" So we agreed on 50-50. What role does your dad play into the business and what role do you play? George: He’s more on the back end, like doing coding and stuff, and I’m more like the visionary. So, it’s my idea and it’s my struggle. I get to make all the final decisions, that was part of the deal that we made. He hires people and has more connections because he’s older and he knows more people and has worked longer. One of my teachers invested, which is super cool. What led you to raise on Republic? George: We chose Republic because we saw a great fit between Quarters and the Meet the Drapers show. And we were right! My favorite experience with Quarters so far was pitching Bill, Tim, and Polly, and their guest. The whole Republic team has been really supportive. How do you balance school with entrepreneurship? George: I'm actually super productive on homework. The most homework I've ever come home with now is about half an hour. So I’m super productive in study halls. Your teachers must be pretty impressed that you’re running a business at 12. What are they saying about Quarters? George: Yeah, I hear a lot, actually. One of my teachers invested, which is super cool. And a lot of users know about it this because I mentioned it on Marketwatch. You spend a lot of time, attending tech events and meeting investors. Do you enjoy hanging around adults as much as you enjoy spending time with kids your age? George: It depends. I like being around kids because it’s easier to relate to them because they’re in school and stuff. And I’m going through the same things they’re going through. So that's nice to relate to people. But then adults are different, like, they know more about things that have happened in the past and more complicated stuff. So, they know more, but kids are more relatable. So, I generally like to hang around kids more because I relate better to them. How would you describe your role at Quarters? Mike: I think every team needs a solutions guy, and that’s where I come in. I pursued science at Princeton and I have a Ph.D. from Stanford, and I’ve been a tech co-founder of a number of companies, as well as an investor. So I know how to do all the necessary things that are required to make a successful company, to build out the great vision George has. And it isn’t just George's problem—it's George's and his friends' problem. Right now, they're starting to get bored of Fortnite, but it's hard to move to the next game because everybody's invested in Fortnite. So they just keep going back, and some of them get frustrated. But if everyone is on Quarters, and they can just all move together, they can choose to play something else, or go back and forth together. What’s it like building a business with your son? Mike: This has just been a really a great learning experience, and George is incredibly clear-thinking about the problem and the business. It’s been a lot of fun. People always ask “Is he learning a lot working with you?” But I think I'm easily learning as much from him as he's learning from for me, which is a very surprising thing to me. I'm easily learning as much from George as he's learning from for me, which is a very surprising thing to me. The best part has been getting to know each other on a deep level by collaborating and doing something together. I have been absolutely amazed. And now that we’re with Republic, we’ve had all these people reach out and say, “You know, I was in business with my dad, and it was an amazing experience.” So, it’s a lot more common than you might think. What would you say is the most valuable aspect of Quarters? Mike: One thing that I absolutely can’t stress enough, is that Quarters stands to be one of the biggest on-ramps for cryptocurrency. If Coinbase is the on-ramp for investors, we're going to be the on-ramp for players. And 10 times more people—or maybe 100 times more people—play games versus those who invest in cryptocurrency. And once people have a crypto wallet in order to store all of their quarters, the opportunities are really endless.